Building a house is everyone’s cherished dream. The biggest concern that almost all the people face while reaching that goal is the never ending list of expenses that your contractor puts on your shoulders. With NÜHAUS, however, that’s never the case. We ensure that you don’t have to shell out a constant stream of money while your house is being built. Furthermore, we will help you through all the grants and government incentives that you will be entitled to. So, when everything adds up, you will end up paying much less with NÜHAUS. So what are the grants and incentives that common housing projects are eligible for? Here’s a little review. SEAI grants are grants offered in a nation-wide scheme by the Sustainable Energy Authority of Ireland. The reason behind SEAI grants is to promote the use of sustainable energy in households and industries in order to reduce conventional energy expenditure. There are two types of SEAI grants available at the moment. First one, labelled as Better Energy Homes (BEH) Scheme accounts for the improved energy efficiency. The second one, named as Warmer Homes Scheme (WHS) accounts for the measures taken by vulnerable households that are already receiving National Fuel Allowances. Who is eligible for SEAI grants? The homeowners in Ireland who own houses built before 2006 and who invest in improving the energy efficiency of their buildings through renewable energy solutions are entitled to receive SEAI grants. However, the concerned construction work must be carried out through a contractor registered and approved by the SEAI. NÜHAUS possesses all the qualifications and certifications required for you to be able to receive SEAI grants for the work contracted to us. What kinds of works fall under the SEAI grants scheme? All types of renewable energy solutions including, but not limited to, Solar PV, Solar Thermal, Biomass boilers, heat pumps, low energy lighting etc. Improvements made in order to improve insulation of the building. This includes roof insulation, wall insulation for internal as well as external extensions. 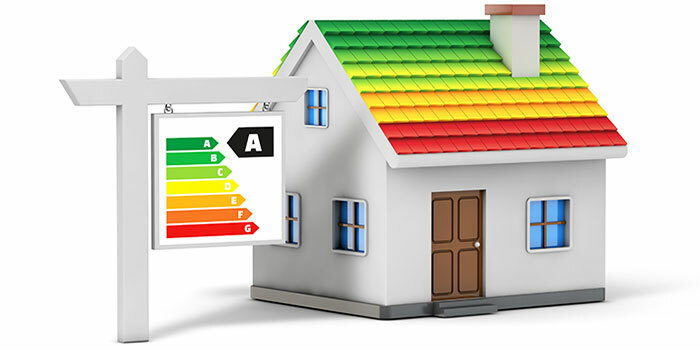 Building Energy Rating (BER) services are also entitled for SEAI grants. So, how much do the SEAI grants amount for? SEAI grants are of fixed value, as opposed to some other grants that follow the percentage model. Following table summarizes that SEAI grant amounts for your information.